Junior Witter spent years hoping a fight could be arranged with Ricky Hatton - but both careers ended without the pair sharing a ring. Now Witter looks at the prospect of Kell Brook v Amir Khan, and believes that will go the same way. Leaning on personal experience, he feels his Sheffield gym-mate Brook might be advised to park all thoughts of the fight British boxing fans want to see. It’s better to focus 100% on the attainable - a pursuit of a crack at the super welterweight world title, he says. Manor Top-based Witter, single-mindedly went after the WBC - winning the super lightweight version in 2006 and defending it twice. Asked what path he believed Brook should follow, he replied: “I can’t see Khan v Kell happening. It would be brilliant for boxing, and for Kell and Khan. It would be a good contest, with Khan hitting harder than people giving him credit for, his chin better than its ever been, and Kell would have to be at his best to beat him. “But Khan doesn’t want it, he has too much to lose” said Witter, who trains amateurs and professionals at the Ingle gym and runs a general fitness class in Rotherham. That’s Jarrett Hurd, the American who has three belts, including the IBF - a man whose camp are attracted to a Brook collision. “Kell is more likely to get a shot at that, than Khan” said Witter, 44. 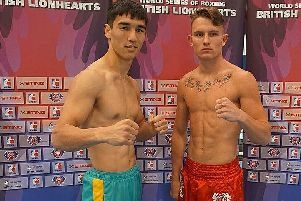 Brook’s promoters have suggested a July date in Sheffield or London is the most likely next outing for 32-year-old Brook (37-2-0,) who is currently training at the Ingle base in Fuertaventura. 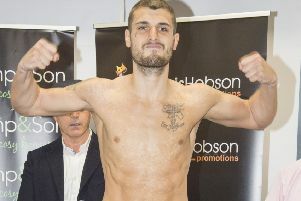 Witter says concrete information is often thin on the ground, even in the Sheffield gym. “Kell will get whoever Matchroom (promoters) pick.